The Nomination Owl Charm is hand-made in Italy using stainless steel and 18ct gold. This charm features an Owl symbol and is the perfect addition to your composable bracelet and will add some hooty fun. This charm is guaranteed to become a firm favourite and will create a special symbol to look back on. Order online to create your own unique look with Nomination composable charms. https://www.johngreed.com/nomination-stainless-steel-and-18ct-gold-owl-classic-charm 126408 Stainless Steel and 18ct Gold Owl Classic Charm https://www.johngreed.com/media/catalog/product/b/t/bt4117_0_2.jpg 18 18 GBP InStock /Women /Women/Gifts/Occasions/Mother's Day Gifts /Women/Charms /Women/Brands/Nomination /Women/Brands/Nomination/Nomination Charms /Women/Gold Jewellery /Women/Gifts/Themes/Animals /Women/Gifts /Women/Gifts/Occasions /Women/Brands /Women/Gifts/Themes The Nomination Owl Charm is hand-made in Italy using stainless steel and 18ct gold. This charm features an Owl symbol and is the perfect addition to your composable bracelet and will add some hooty fun. This charm is guaranteed to become a firm favourite and will create a special symbol to look back on. 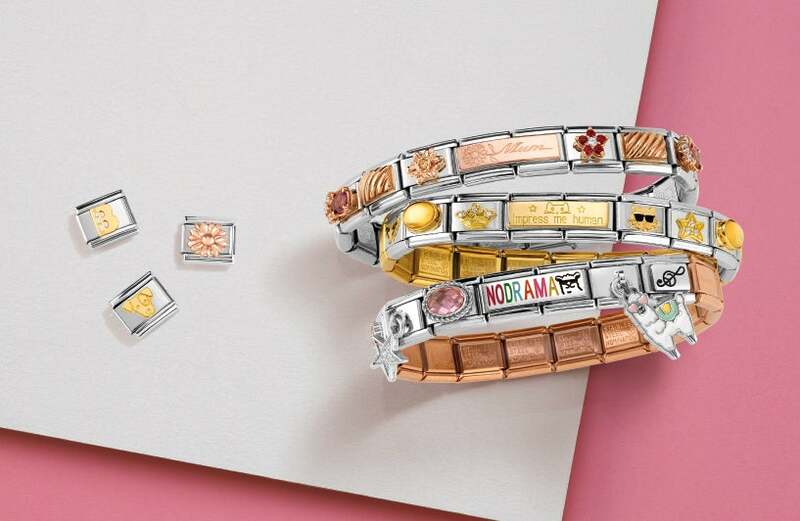 Order online to create your own unique look with Nomination composable charms.